Automatically start pyLoad whenever your computer reboots, before you log in. Keep pyLoad serving your downloads 24/7 even when you're not around! 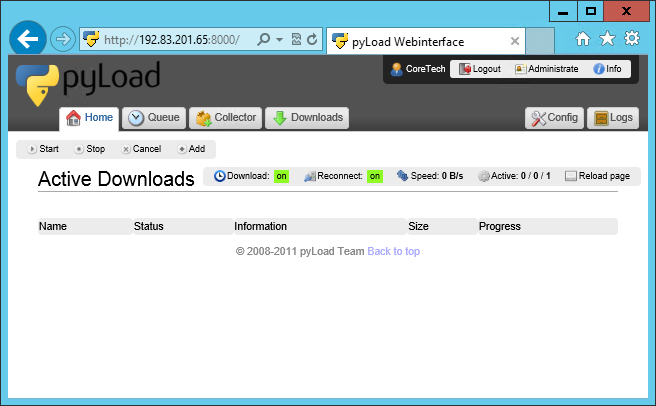 pyLoad is a lightweight download manager written in Python. If you have not yet installed pyLoad, download the pyLoad zip package and extract its contents to a new folder. 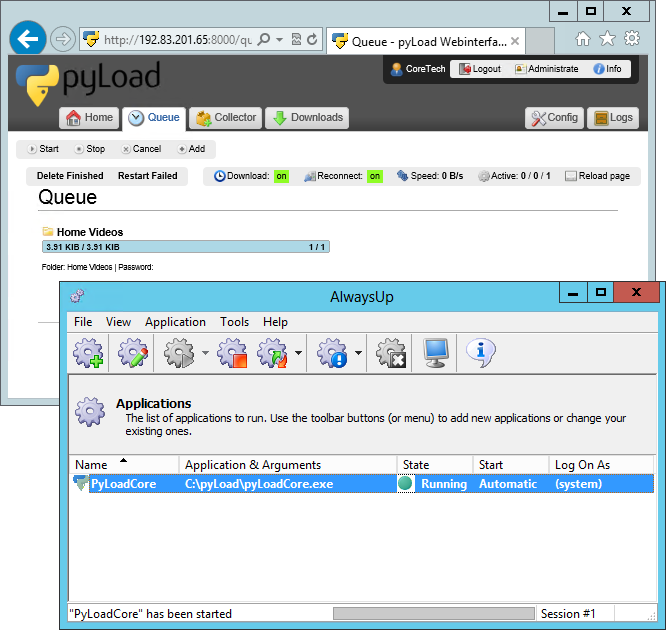 Configure pyLoad and ensure that the web interface operates as you expect. In the Name field, enter the name that you will call the application in AlwaysUp. 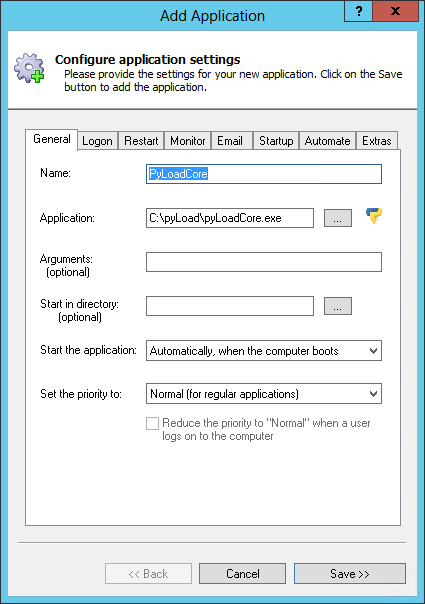 The default of PyLoadCore works for us but you can specify another name that you prefer. Click over to the Startup tab and check the Ensure that the Windows Networking components have started box. This informs AlwaysUp that pyLoad needs the TCP/IP networking stack to perform its downloads. We are done configuring pyLoad so click the Save >> button. 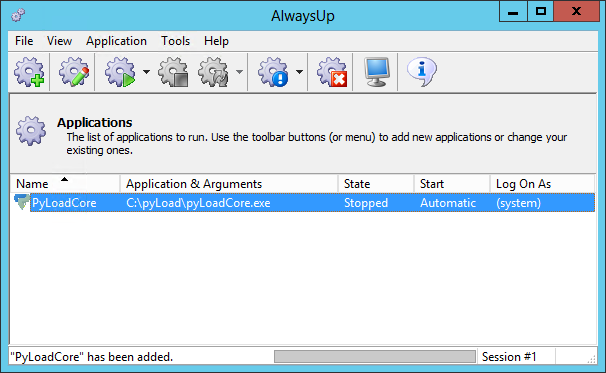 In a couple of seconds, an application called PyLoadCore (or whatever you called it) will show up in the AlwaysUp window. It is not yet running though. That's it! Next time your computer boots, pyLoad Core will start up immediately, before anyone logs on. We encourage you to edit pyLoad in AlwaysUp and check out the many other settings that may be appropriate for your environment. pyLoad not working properly as a Windows Service?